A new weekly comedy show premiering this fall received a strong show of support with an order from Netflix for 32 episodes. 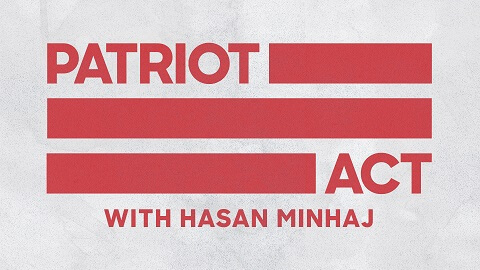 The show is “Patriot Act with Hasan Minhaj,” set to premiere Sunday, Oct. 28, on the streamer. Netflix notes in an announcement today about the show that Minhaj becomes the first Indian-American host of a weekly comedy show. Minhaj is executive producing through his banner Minhaj Inc. with Prashanth Venkataramanujam as executive producer and co-creator; Art & Industry’s Michelle Caputo and Shannon Hartman and Haven Entertainment’s Jennie Church-Cooper are also executive producing. Jim Margolis is showrunner and executive producer. Minhaj earned rave reviews last year for his one-hour Netflix comedy special “Hasan Minhaj: Homecoming King,” which also won a 2018 Peabody Award. He also hosted the 2017 White House Correspondents’ Dinner. Has the D.B. Cooper Case Finally Been Solved?